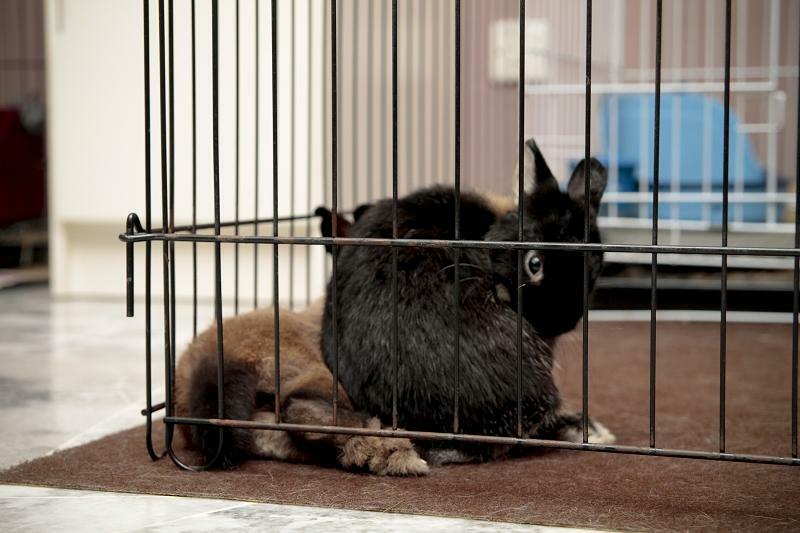 For the past 3 years, I have shared my rabbits with many and I am pretty sad to say that only a handful take the trouble to update me on their progress. Though only a few are proactive in keeping in touch, we have formed a strong friendship bond among ourselves. 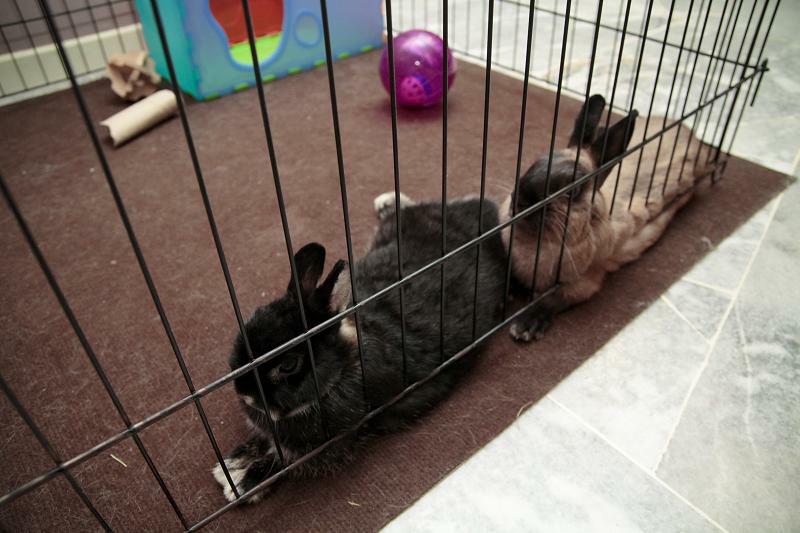 We take turns to bunny sit for each other and it is really fun to have a little support group going on. A friend asked me about Skor tonight and I was struck with sadness. I am quite disappointed because I last heard about him a month after I passed him on. The only photo I have of him was taken 3 days after he went to his new home. Once in a while I’ll send a text message to his new owner without any replies. As I was about to turn off my computer and go to bed heart broken, one of my “bestest” bunny friends IMed me and sent me these photos. They really made my day. Thanks a lot Shahfiq and Adesh! You both rock! Isn’t that just wonderful? Everybunny is just happy. Not to mention the super huge living quarters that they have for themselves. It is like Kent and Barbie’s mansion I tell ya! The world is perfect with bunny owners like these 2! Good news is, I know quite a few like them. Awesome! I would like to thank the entire crew for Aksi Si Comel segment of the Selamat Pagi Malaysia segment especially Mr. Al, Cik Hasnia and the host En. 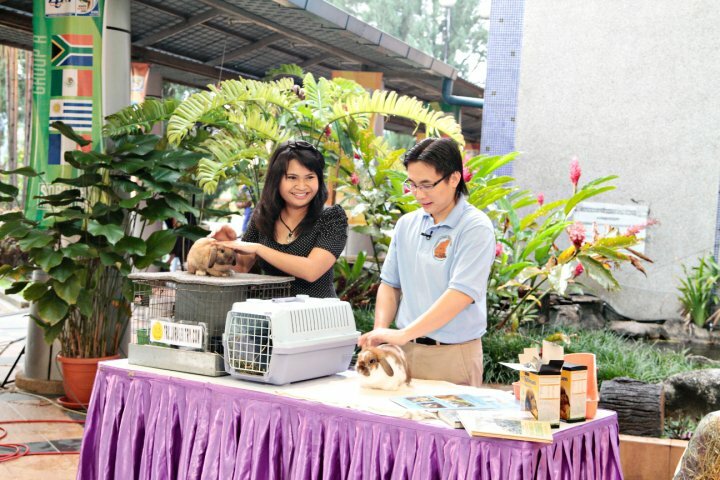 Hezri for giving us the opportunity to show case and talk about the Holland Lop. The interview went very well this morning. I was so nervous and out of sync at the beginning . I hope what I have said make sense. LOL! Here is the much awaited video and below is the translation for my friends is USA. 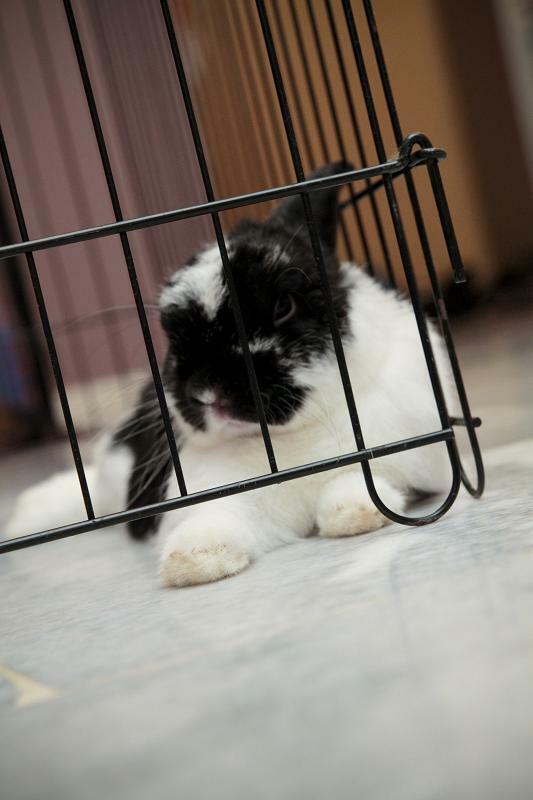 It is a pity that Truffles wasn’t in the mood and was extremely nervous so he had to stay in the carrier. Never ever leave home with rabbits without a LINT ROLLER! Picture Perfect. Look at how Carmel poses! It was a good interview but I wasn’t perfect in my answer so I have written some corrections in the translation. 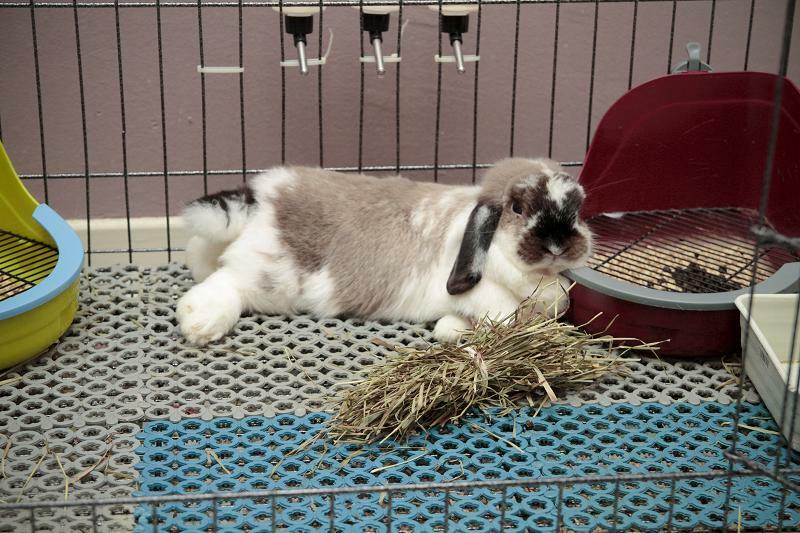 Host (Hezri): The cute featured pet this week is the Holland Lop. With me to talk more about them today is Adesh and Timothy. How do you do? Host (Hezri): These doesn’t seemed to be regular rabbits that I normally see. What is so special about these rabbits? Tim: These are imported rabbits called Holland Lop. 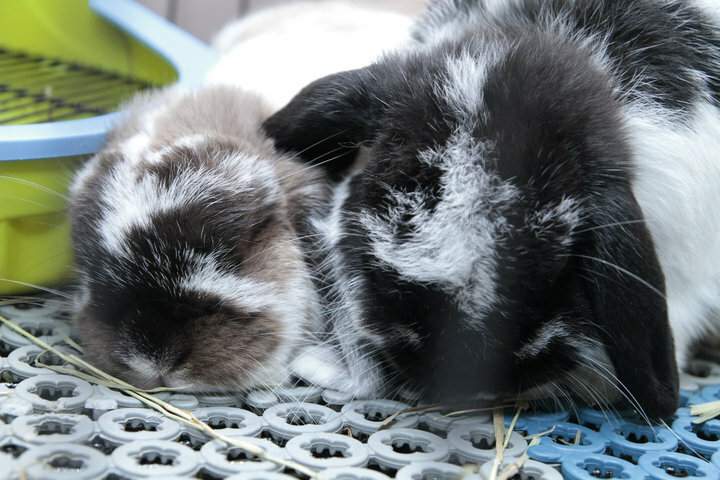 Their ears droop and that is where the “Lop” comes from. It has taken breeders more than 20 years to develop this breed. Host (Hezri): This one with Timothy is a little larger than this one with Adesh and seemed more active. What are the differences between them both? Adesh: This is the younger one. Just turned 4 months and the one with Timothy is 2 years old. Host (Hezri): How long is the lifespan of these rabbits? Tim: If well taken care of, on average they can live up to 7 years and some are known to have lived up to 12 years old. Host (Hezri): Will the fur lengthen according to the age? Tim: No, they will molt. They will have a major molt once or twice a year. If the molt is bad, they will go bald too (GRIN). Host (Hezri): Which is male and which is female? Host (Hezri): The male one seemed to be better? Host (Hezri): What do these rabbits eat? Tim: There has been a lot of misunderstanding. Many people feed rabbits with carrots which are not suitable at all because the sugar content in carrot is high that could cause obesity. We normally give them hay. The name is Timothy Hay, but it is not mine. The hay is their staple food. And to balance up the diet, we add some pellets. I use Pro Optimum pellets which is also imported from USA by chubbypetsgarden.com. It is now much easier to find their basic neccessity compared to earlier days. 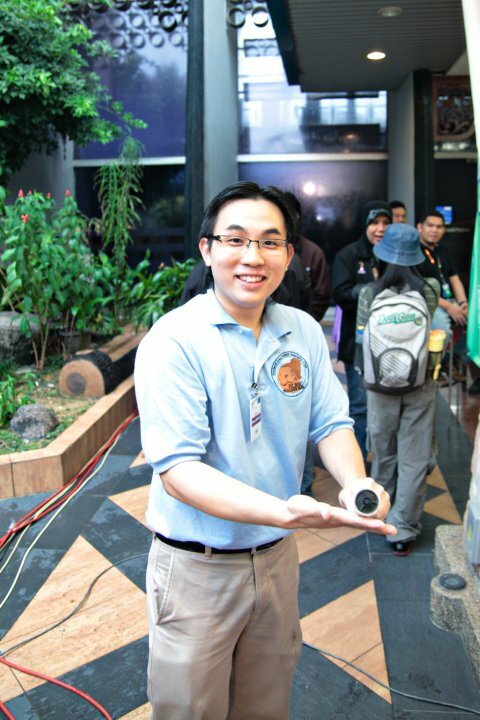 Host (Hezri): What is the contents in the pellet and what is the most important ingredient needed by rabbits? Tim: Fiber is the most important ingredient in a rabbit’s diet. Host (Hezri): I see some feeding Kang Kung, is that proper? Tim: No, Kang Kung is known to cause wind in rabbits. See, how much misunderstanding we have in the basic necessities of rabbits. Host (Hezri): I agree, when we don’t really understand, we don’t know much about the basic needs. Other than diet, what else is important for rabbits? Tim: One thing that is important is that I personally found many give up keeping rabbits in a short period of time due to the odor problem emmited from their urine. To solve that problem, No.1, we use a good pellet. And secondly, we use the litter tray. 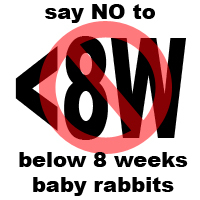 You’ll be surprise how rabbits can be litter trained. We use the Woody Pet pellets to absorb the urine and to mask the ammonia smell. I hope more people will learn how use the litter tray for their rabbits so there would be less giving up their rabbits. Host (Hezri): As far as caging and confinement space? What is appropriate? Adesh: The best is to have space for the rabbits to run. The cage below is too small and should only be used for traveling purposes only. It would be best to have space for them to run and exercise. Else, we can also let them out of their cage at least once a day. Her reply was superb. And she is such a natural compared to me a nervous freak – LOL! I applaud her for her very good answer. In case you didn’t know, all her rabbits have huge mansion equipped with a big run each! Host (Hezri): Can we allow the rabbits to run freely in the gardens? Adesh: It would be best to be under supervision. They can run pretty fast and it would be a problem if they do escape. 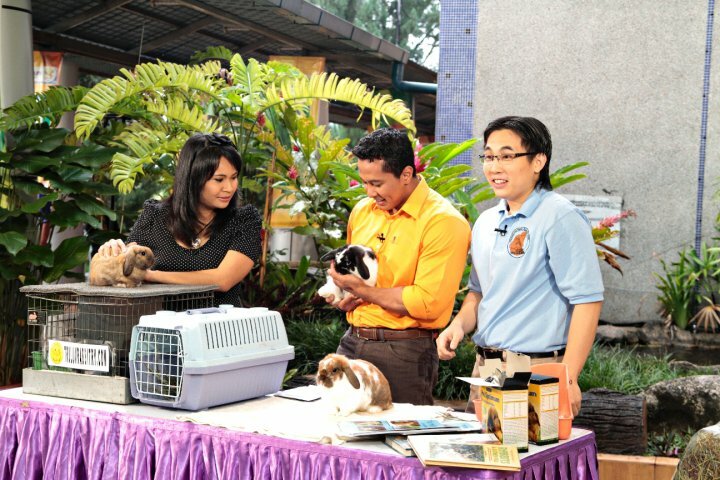 Host (Hezri): Roughly how much is needed to maintain or upkeep a rabbit? Tim: The food itself would be Ringgit Malaysia 50 per month. That is not inclusive of its cage which is up to the owner which type that they prefer. Host (Hezri): So that is fairly reasonable. I would like to try to hold one of these cuties. Oooh, I am not that good right now. Anyhow, thank you very much Tim and Adesh. Both: Thank you very much! Disclaimer: No rabbits were drugged or hurt during this interview. More photos & videos to come later! Credits: Photos courtesy of Chestnut Pictures and HLRSC T-Shirt courtesy of Aunt Karen L. Novina! We brought Skor to visit one of our dear friends and his children – Tridus, Tinga and Truffles. Truffles and Bugsy are boarding over with D & TJ. That’s the amazing thing about having bunny friends. Traveling couldn’t be much easier without friends to look after our furkids. Truffles and Bugsy’s owners are out of town celebrating Eid with their families. I was suppose to take them in for boarding but had some last minute changes and they ended up with D and TJ. Since we can’t have them over for boarding, we decided to drop by their house for a little gathering. I was looking forward to putting Skor with his two sons together for a little family portrait. Can you recognize them? Tridus, Truffles & Skor in that order! Are you getting bored of just looking at black and whites? Let’s add some colors to our photos shall we? First of all, I must say that Bugsy is a VERY VERY nice little bunny! This little Siamese Sable (I think ND x Polish) is absolutely beautiful and his color is so amazing! Bugsy belongs to Shahfiq & Adesh (absolutely perfect couple). My parents say they move together – a match made in heaven indeed. LOL! Shahfiq & Adesh are the proud owners of Tru-Luv Truffles. I am so thrilled to announce that they are photography enthusiasts as well. Just take a look at this photo they took and the amazing setup they have for both Truffles and Bugsy. 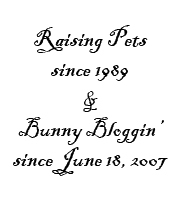 The things we do for our bunnies – OMG! For more updates on Truffles please visit http://www.chestnutpictures.com/. Bunnies do bring people together and I am very honored to have known both Shahfiq & Adesh. Thank you so much for approaching me! It is with a heavy heart that I am writing this post. At the same time I am very excited for Truffles’ new owners. This couple has been contacting me for quite some time and I felt that it would be nice for them to have Truffles since I do not have many bunnies available at the moment. I am very glad that the lovely couple inquired and I must say that with great confidence, I am very happy to be passing Truffles into their care. So tonight for a little farewell, I made Truffles pose for me. Anyway, he’ll come back once in a while for boarding so I won’t miss him too much. Seemed like it was yesterday that Truffles came into this world. I could remember very clearly that he was the only one left from a litter of 3 born to Holly Hope. He was such a cutie back then and I knew he had quite thick bones. I could still recall how he nearly fell into wrong hands. Let’s walk down memory to reminisce the time when this little boy was born. Bon Voyage my boy Truffles! The Rise Of The Singleton! I am still very dazed from the exciting weekend. Since the show, the blog stats has skyrocketed. I am receiving so many congratulatory text messages and emails . Thank you everyone for your kind words. The inquiries for my rabbits has skyrocketed as well. Please know that I am still the same old guy that does not bite. The sales policy stands but I have nothing to offer at the moment. Sorry for that shortcomings. Am really glad that I am finally seeing some fruits of my labor after 2 years (since 2006). I don’t mean the number of sales but the knowledge and awareness of this breed is finally growing. Truffles is back to his old self. Being a mischieve like the usual. Begging for food this morning and I just love his cute face! Don’t he look so similar to his dad, Skor? To me he is the exact copy of Skor. Seemed as though I placed Skor into a copier and out came Truffles! LOL! And did I tell you that I hate taking photos of black and white rabbits? They always seemed blur. And it is very difficult to see the rabbit’s eyes. I believe I made the right choice for holding on to Truffles as he seemed to be a potential replacement for Skor. I hope the rabbitry is doing fine because I caught Truffles praying this morning. I am sure that I have done all the right things for all of them but somehow quite surprised that they are still praying. I guess you need faith whether you’re doing good or bad. These are some photos taken today. 8th Day olds versus 20th Day old. Such huge difference! I still love seeing children together with baby animals.